I can relax now - all of my Christmas Orders are done, and I am content! Now to just get all of my shopping done (eeek! it's never ending) and a marathon wrapping session, and I'll be good! Just how do you do it, Lala? I'll never give away my secret to the kiss totem pole! Naw, it was a lucky shot, and I love it! I am almost ready for Christmas, are you? I almost have my cards ready - they'll probably be late, but that's okay, as long as my customers cards got out on time! 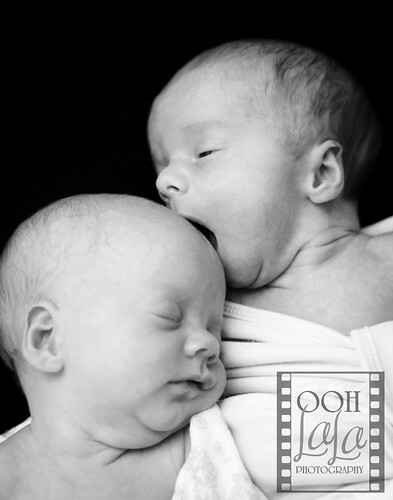 I photographed these sweeties on Wednesday, and we had a grand old time! Sister's head must be tasty! Paid in Full Orders must be in by 6pm on the 21st at the absolute latest to be available for pick up at the studio on Sunday, December 23rd between 10 am and 4pm. 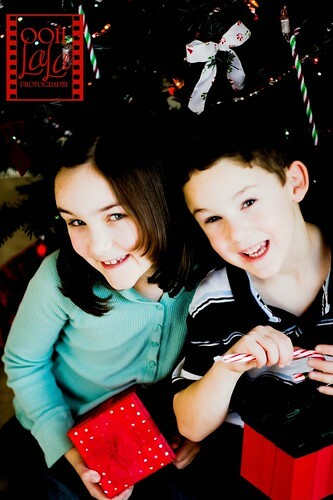 2 Hour Studio PhotoSession personalized just for you and your family. Feel free to take breaks when you need to, change your clothes, let the kids play when they need to. I will photograph posed and candid portraits of everyone involved. and 5 Images of your choice (color and black and white) in 8x10 size on a CD with a included print release for making holiday cards, printing and scrapbooking. also get 20% off prints from this session for 60 days. 1 5x7 digital image (your choice) emailed to you with a print release for making Holiday cards or prints for gifts. 1 8x10 and 2 5x7's of the poses of your choice. 20% off prints for 60 days. All images from your portrait session are online in a private slideshow and viewing gallery within 12 hours. All images remain in gallery for 60 days for sharing with family and friends. All packages/specials/sitting fees are due at the time of booking session, or on the day of session. We accept Checks and Cash. Also - Portrait CD's are on sale for the month of December for only $200! This is 50% off! A Portrait CD includes 15 Color Digital Images in 8x10 Size and a print release for printing at your favorite lab! This is perfect for Holiday Cards and Scrapbookers! FREE 11x14 ADD ON WHEN YOU MENTION THIS ADD! 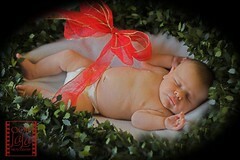 I've added some new Holiday newborn portraits to my gallery! View it here! more Holiday Shopping! I got to shop with my Mom and Two best friends over the past two days, and it was great! I'm almost done with my shopping...Remember - portraits taken by the 19th CAN be ready by the 23rd for pickup at my studio! They make great holiday gifts! 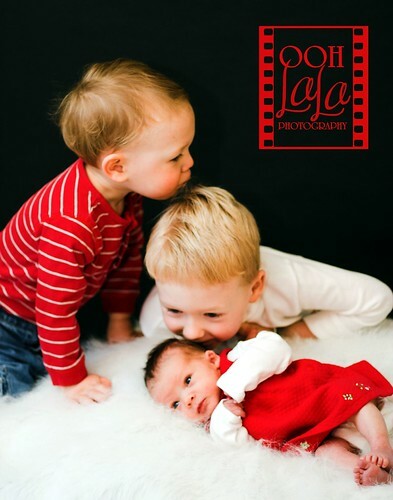 I photographed these Cuties last week! I spent the day Holiday Shopping with my Mom, and of course, spent more money on props than I did for presents! Oops! I have two newborn sessions tomorrow and I couldn't be more excited! One of those sessions will be one of my best friends Week old little girl! It seems like I've waited so long to finally play with her, and I'm so excited that she's finally here. 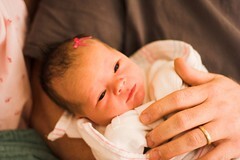 From the hospital - One Day Old. 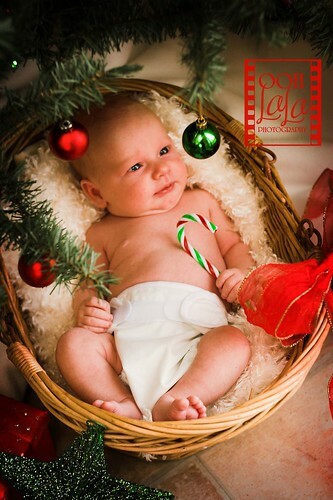 I got to photograph this little cutie last week in the new studio! What an angel! 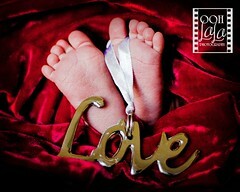 I have a newborn special going on until December 20th - Please email me at oohlalaphoto@gmail.com for more information!